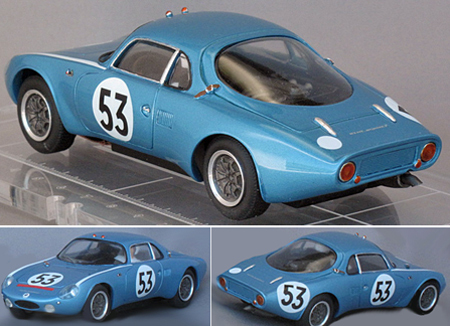 Test shots of a 1/32 scale Porsche 907 body in both long and short tail versions. 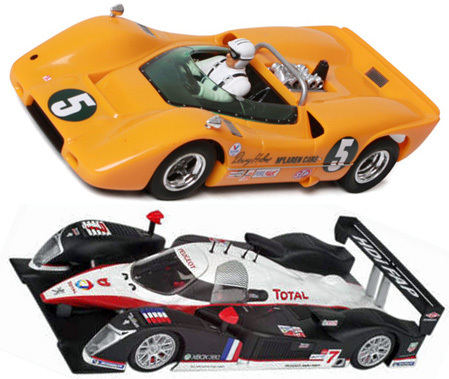 According to one US distributor who has been contacted by SRC their sports car models, which will be made in injection-molded plastic, will retail in the US for around $100, putting them in the same price range as NSR cars. 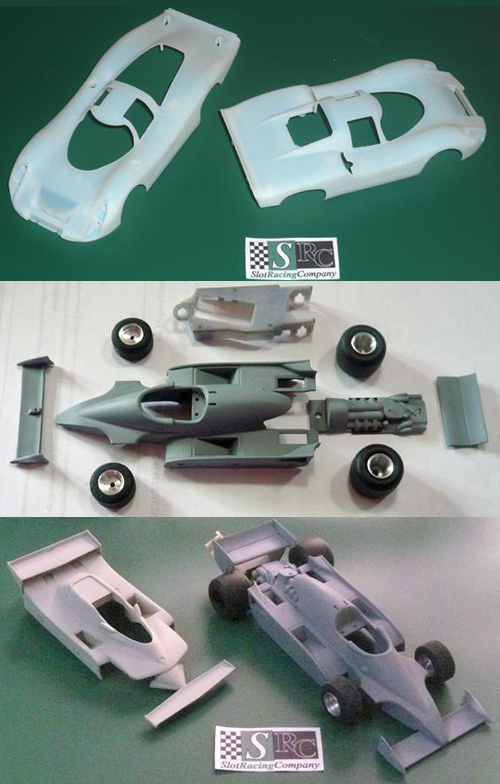 Prototype parts for a 1/32 scale 80s F1 car. 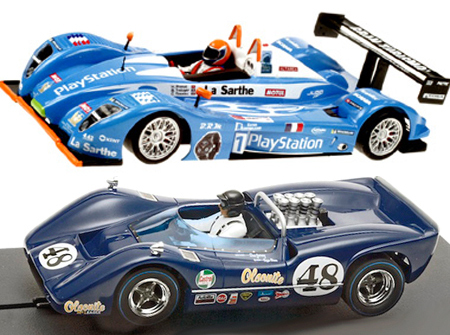 SRC’s most ambitious plan is to produce a series of 70s and 80s F1 cars with resin bodies. Note the unusual motor pod design and the metal wheels. Two prototype F1 bodies. 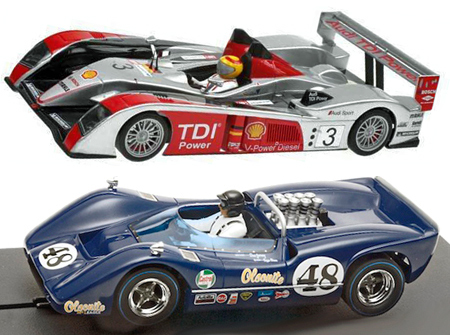 The F1 cars are expected to retail in the US for around $250, putting them in the same price range as resin Racer cars as well as many other resin-bodied slot cars by “boutique” slot car makers. 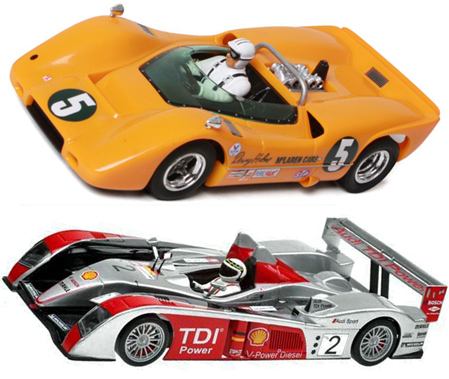 These cars appear to be engineered to a higher standard than most boutique cars, which typically consist of a resin body on some kind of generic chassis. There are few details about chassis and running gear, but if these cars look and run like a Racer car, which uses Slot It mechanicals, they may be worth the price, One concern, however, has to be all the fragile appendages, such as wings, found on F1 cars. 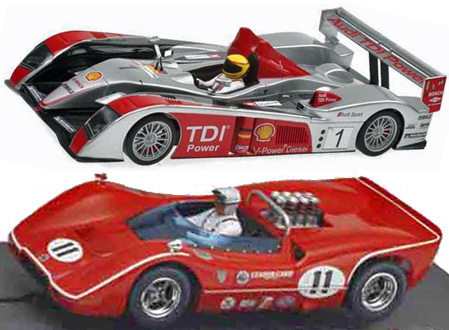 How resin F1 bodies will stand up to the perils of any kind of real racing will definitely affect the price/value equation for anybody but collectors who will never run the cars. It seems to us that SRC would do better to make the cars in plastic at $100 retail and make sure lots of spare body parts are available. We will pass on further information as it becomes available.